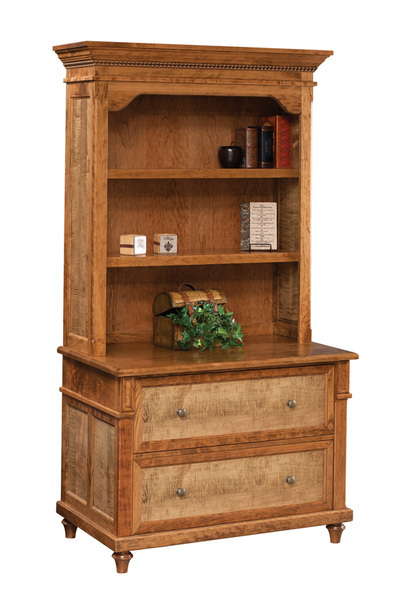 This New England-style collection recalls the Revolutionary War period with its symmetry an inset panels. 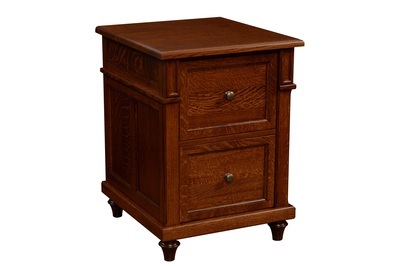 The extra deep inset on the desk's center section, along with feet that elevate each piece inches off the floor, give the Bridgeport collection an elegance like no other. 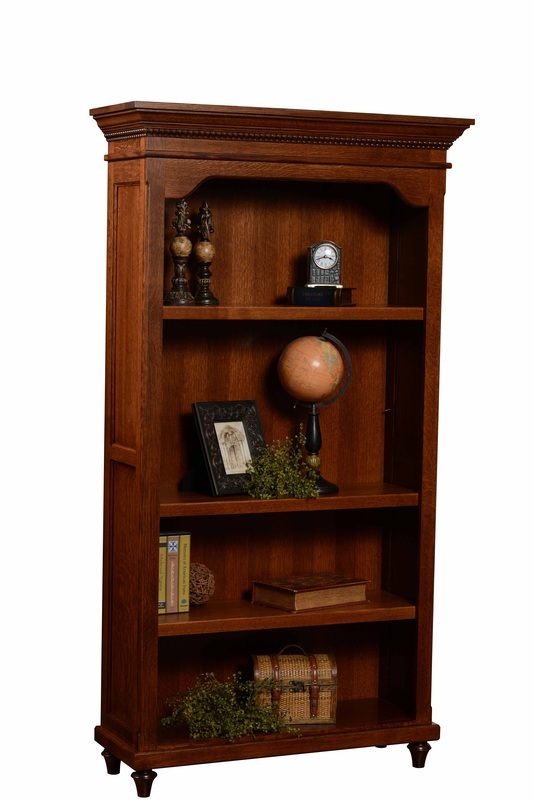 Just a touch of curve on the bookcase top provides the perfect counter point to the strong, straight lines. 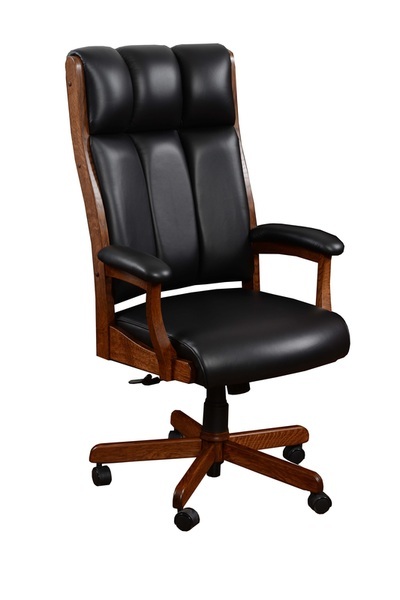 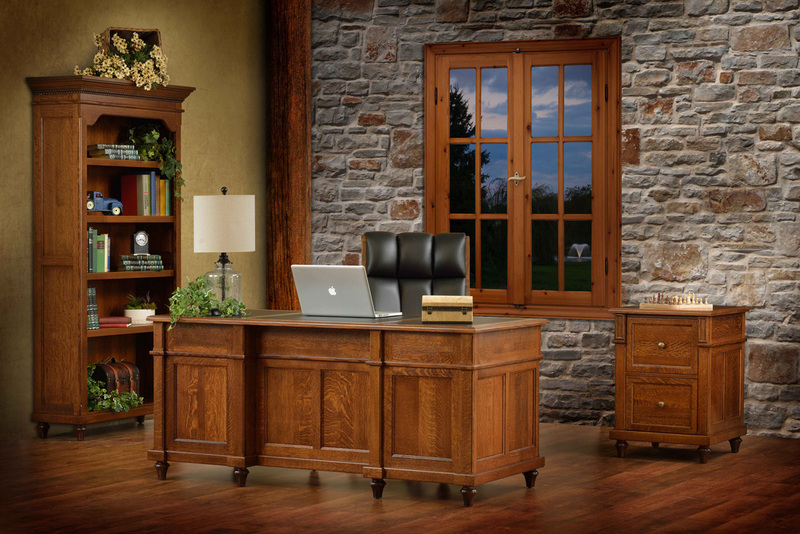 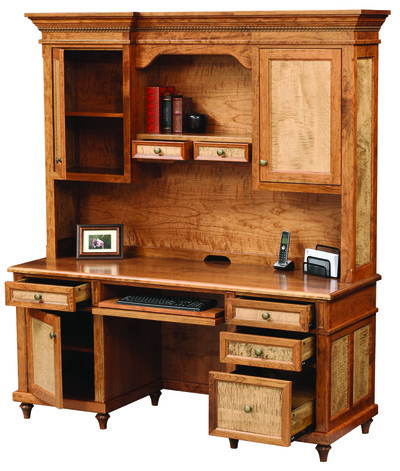 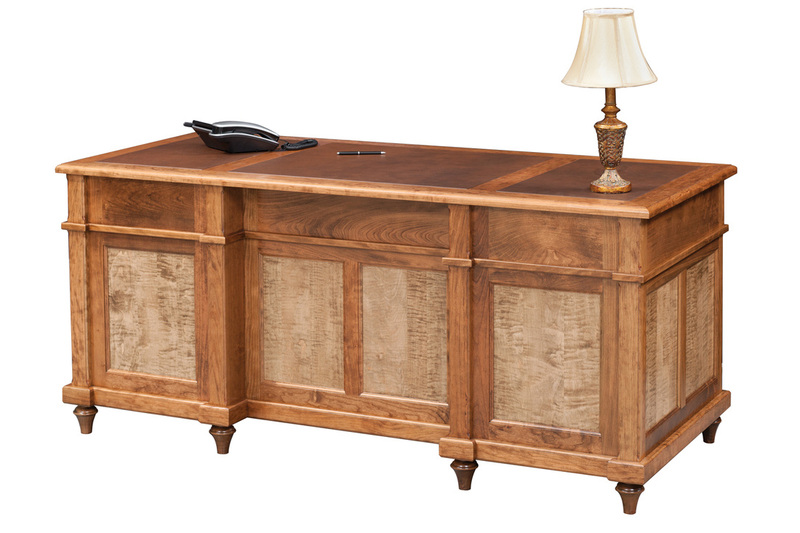 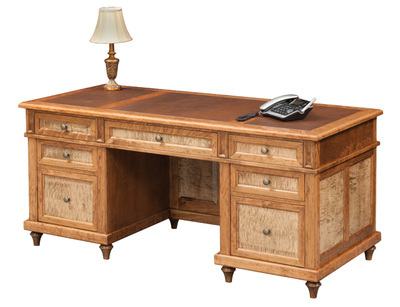 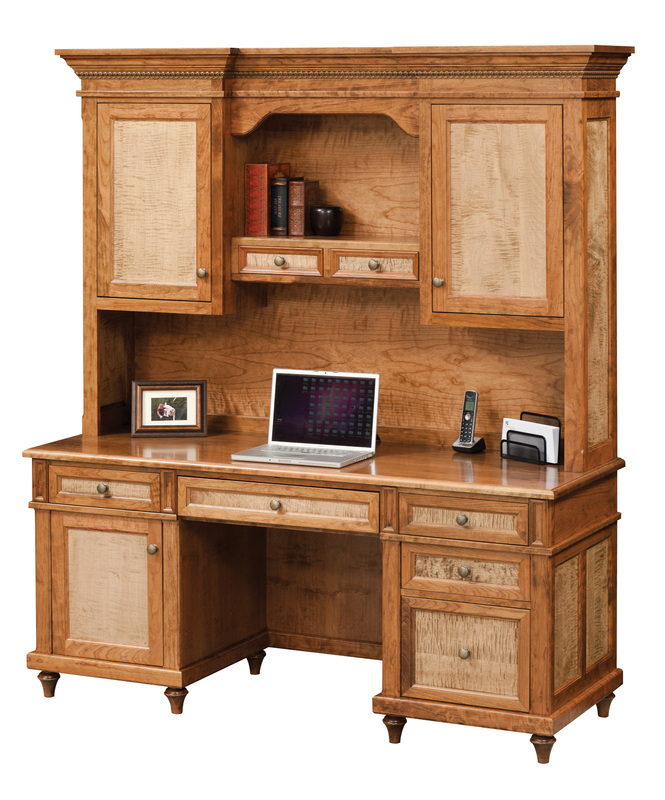 The Bridgeport Office Furniture is available in many different wood species, including but not limited to: Cherry, Hickory, Quartersawn White Oak, Maple, Walnut, and Red Oak.